Thank you for your interest in one of Integrity Auto Group-Wichita's online offerings. Please continue for more information regarding this 2004 Chevrolet Corvette with 63,388mi. Very few convertibles have the comfort, style and performance of this well-maintained beauty. Quality and prestige abound with this Chevrolet Corvette. 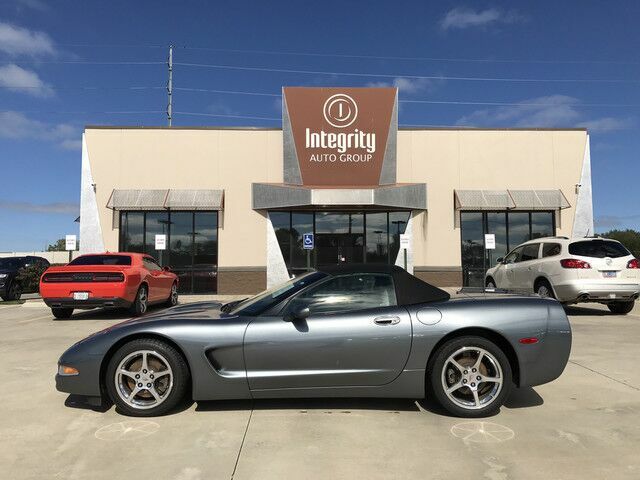 You can tell this 2004 Chevrolet Corvette has been pampered by the fact that it has less than 63,388mi and appears with a showroom shine. Driven by many, but adored by more, the Chevrolet Corvette is a perfect addition to any home.